RamsTrust has a range of gifts including books, DVDs, clothing and other products available from this website. Ideal gifts for a Rams fan near you or indulge yourself, of course. easyfundraising brings together great names such as Amazon, M&S, LoveFilm.com, game.com, Ikea, Wal-Mart/Asda and many more. RamsTrust earns a percentage from every purchase you make but it costs you not one single penny more. Help your trust at no extra cost to yourself. Whenever you buy from any of these companies, just remember to always log in to https://www.easyfundraising.org.uk first. 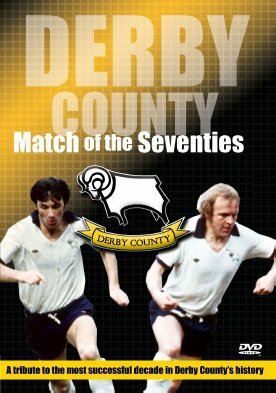 RamsTrust has worked with VSI Enterprises and Derby County FC to bring the acclaimed Match of the 70s video to the DVD format. The DVD features some of the greatest moments in the club’s history and can now be ordered by returning the form below. After taking charge in the late 60s, Brian Clough proceeded to make Derby County champions of England for the first time in their history in 1972. It was the start of a superb decade for the Rams - and Clough's successor, Dave Mackay, repeated the success three years later when he brought the First Division title back to the Baseball Ground. Colin Todd signed for Brian Clough at Derby County in 1971 and went on to win two League Championship medals and 27 full England caps. He’s just published his autobiography through Breedon Books, recounting those great years as a player and his diverse managerial career. 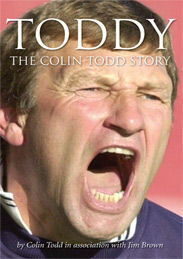 Read up on Toddy’s 40 years in football! 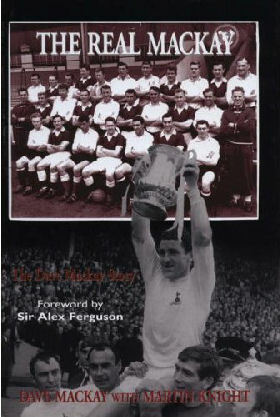 Includes contemporary and historic images of club legends and from the key events and matches from the club's colourful history. Written by Rams fans and respected football journalists Phil Matthews and Gareth Davis. Derby County Football Club has experienced many highs and lows in its long history. The bigger events are well documented but still deserve telling again. Hidden away behind the major incidents though, are a wealth of fascinating facts and trivia, such as the player who went on strike as a game went into extra time because he claimed he was only contracted to play 90 minutes! 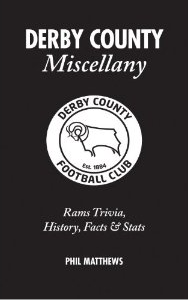 Although not a chronological history, the facts, statistics and stories included in this book - written by Phil Matthews and Gareth Davis provide a real flavour of what it is that makes the Rams, the Rams. Nigel Clough’s arrival as Derby County’s new manager in January immediately inspired Spain-based musician Kevin Moore to write & record “Derby Pride”, his own tribute to the one man worthy and capable of following in “Ole Big ‘Ead’s” footsteps.. 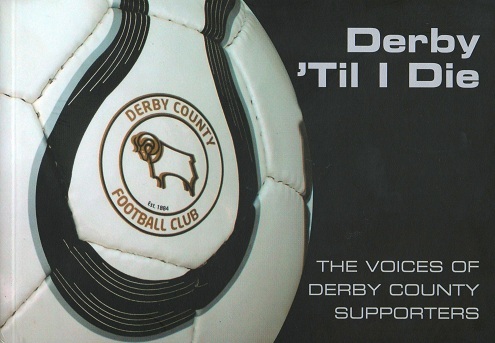 The “Derby Pride” song and Kevin’s YouTube videos of his growing portfolio of new Rams anthems gained local media support - and there was a massive fans’ response on the Internet. It’s a superb solo effort, featuring his original songs and cleverly “Ram-adapted” versions of pop hits. The “Fan Fayre For The Commons People” CD contains many instant classics, including “Commons People” (with thanks to Pulp), “We’ll Always Be The Derby” (Billy Joel), “Derby County Blues” and even an updated rock version of “Steve Bloomer’s Watching”. "The Real Mackay" tells the life story of one of soccer's genuine legends, a man whose presence in any team spurred them on to championship-winning form: Dave Mackay. It is the refreshing, honest, and action-packed autobiography of a man who was at the center of many of the biggest stories of British soccer for almost three decades.